Home » Health/Research » Is Dairy Intolerance Related to Gluten Intolerance? Over the years, I’ve had many readers ask me if they should also eliminate dairy when they begin a gluten-free diet. For each person, the answer must be individually decided. For me, I need to live a gluten-free and dairy-free lifestyle to reap the full rewards of health. Though my symptoms manifest differently for these two intolerances, which helps to determine where a problem lays when cross-contamination issues arise, I have found that the hand-in-hand relationship between gluten and dairy can wreak great havoc when one hand isn’t watching what the other one is doing, so to speak. 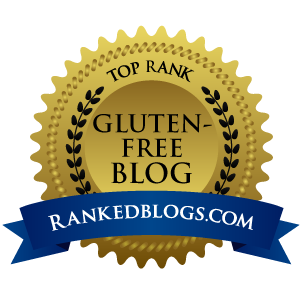 So when I recently came across this article by Dr. Osborne of Gluten Free Society, I wanted to make sure I passed it along to you. While the article is relating primarily to nursing infants and children, I found it contains some very interesting general information. If you have questions about whether eliminating dairy would benefit your gluten-free lifestyle, or would possibly be relevant to your family’s dietary concerns, perhaps you’ll find this article interesting as well. Here’s the link to Casein – Does Cow’s Milk Mimic Gluten. I’d love to hear your thoughts.